Despite their conviction that they are polar opposites, white supremacists and Islamist extremists share much in common, including a hatred of minorities and the enemies within, a persecution complex, and nostalgia for past glories. 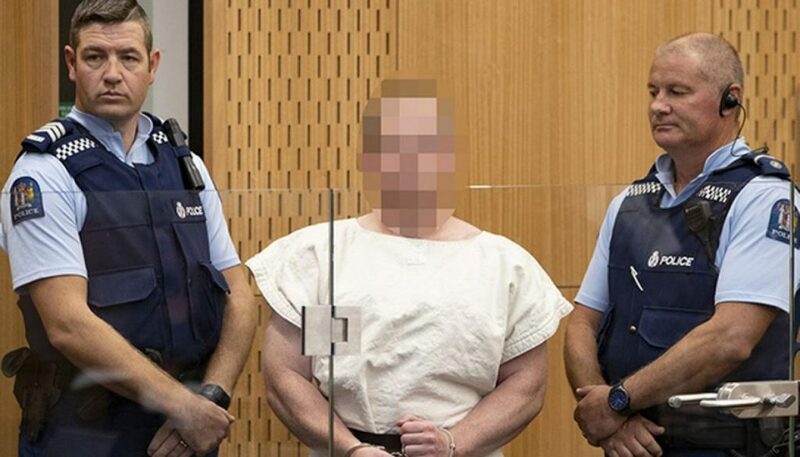 Brenton Tarrent, the man being tried for the Christchurch massacre. If a terrorist were to claim that their attack was intended to “add momentum to the pendulum swings of history, further destabilising and polarising Western society,” you might be excused in thinking the perpetrator was an Islamic extremist. But these are the words of a white supremacist and crusader. Tarrant also wrote that he hoped that his actions would “Balkanise” the United States “along political, cultural and, most importantly, racial lines”. This would, in his twisted vision, hasten the destruction of the current order and enable the creation of a white, Christian utopia on the smouldering ruins of multiculturalism. The Australian extremist’s nihilistic fantasy of revolutionary change from within echoes that of many jihadis and Islamist extremists. For example, combating the “near enemy,” i.e., the enemy within, is a central pillar of the ideology and political programme of the Islamic State (ISIS) and partly explains why fellow Muslims were the largest target, in numerical terms, as well as indigenous minorities, of the self-proclaimed caliphate’s murderous rage. These two hateful ideologies — white supremacy and radical Islamism — may regard themselves as polar opposites, but their worldviews resemble one another more than they differ. Both are paranoid, exhibit a toxic blend of superiority and inferiority towards the other, are scornful of less extreme members of their own communities and are nostalgic for an imagined past of cultural dominance. Islamists are often in the habit of vilifying their secular, liberal and progressive compatriots and co-religionists as culturally inauthentic mimics and fakes, at best, and as sellouts and traitors, at worst. “The enemies of Islam can deceive Muslim intellectuals and draw a thick veil over the eyes of the zealous by depicting Islam as defective in various aspects of doctrine, ritual observance, and morality,” railed Hassan al-Banna, the founding father of the Muslim Brotherhood, in 1936. This disdain for many aspects of modernity translates into an overwhelming yearning for a supposedly more glorious and pure past and a nostalgia for bygone imperial greatness when the world was at their command — for the days of European empires or Islamic caliphates. In his manifesto, Tarrant oozes victimhood, equating the perceived erosion of privilege with oppression, rather like Islamists in some Muslim-majority countries who regard any concessions to minorities or women as a sign of their own supposed repression. He appropriates the language of occupation, anti-colonialism and the oppressed, despite living in a society founded by European settlers. There are, however, ideological clashes within our individual countries and “civilisations” — between pluralists and progressives, on the one side, and puritans and fanatics, on the other. This article was first published by The Washington Post on 16 March 2019.